The iTrack Live fleet management solution is a complete fleet monitoring, vehicle tracking and security tool. No matter how you decide to pay, you are receiving the same complete system. There are no hidden costs and no additional charges (the only thing that we will add on to your monthly bill is a R1 charge per SMS sent to your phone from alerts you have set up). viewing the position of your vehicle, or generating reports or any use of the system. It is yours to own so you are not locked into any lengthy service contract. will start saving you money from the day you install the system. Having an efficient and accountable fleet will save you a fortune in vehicle maintenance and fuel costs and will immediately improve the level of service that you provide to your customers. Stolen vehicle recovery is available on all of these pricing plans for an additional R15 per month (excl. VAT). 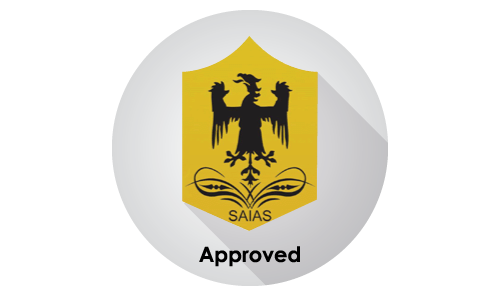 iTrack Live is approved and endorsed for vehicle tracking and recovery by the South African Independent Accreditation Services, as well as being approved by many insurance companies. Speak to a consultant about the benefits you could receive.